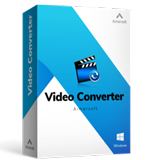 You can use Aimersoft Video Converter for commercial use. The all-round video and DVD solution. It can convert, edit,download, compress videos, and burn DVD. Powerful and intuitive video editing tool that lets you create unique and customized home movies in few clicks. Aimersoft is a desktop solution server that provides video and DVD programs for Windows and Mac users, including Aimersoft Video Converter Ultimate, Video Editor, DVD Ripper, DVD Creator, DVD Copy, Video Converter, DRM Media Converter, Music Recorder, YouTube Downloader and Music Downloader. Can I use one license key to install the video converter on multiple computers? One license key can only be activated on a single computer for single user license. If you want to use the video converter on multiple machines at the same time, you need to buy the appropriate number of separate license keys accordingly. What'll happen after I pay? Aimersoft will send an email to your licensed email address once you pay, which contains the registration code and program download link. Then you can register the program with the licensed email and registration code immediately. My Company is interested in the business volume. How do I get started? We provide online business plan for you to purchase directly, including Lifetime License for 2-5 users and Lifetime license for 6-10 users. If you want to licenses for 10+ users or have more complex deployment and administrative needs, just enter the Business Page to send your inquiries. Where can I get Aimersoft coupon? How to use a coupon? Pay close attention to Aimersoft, we'll promote our products at times. If you get a coupon, please enter the purchase page and add your desired license to cart, then you’ll see a Discount Coupon option at the upper right corner, just enter the coupon code and you can enjoy the discount price right away. Visit Aimersoft Support Center and enter the email address or the order numer you used for the purchase. Then you will get the license key on the page. If you encounter technical issues that cannot be solved, you can get a complete refund within 30 days. Check our Refund Policy to see if you are eligible for a full refund.